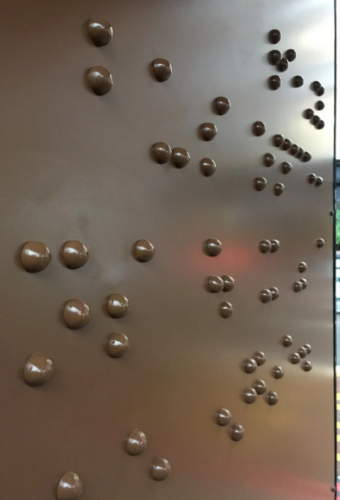 The chocolate brand Maltesers has unveiled a braille out of home campaign to foster diversity and draw attention to World Braille Day. The ad was the brainchild of UK agency AMV BBDO and appears on a London bus shelter. It spells out the words: “Caught a really fast bus once, turns out it was a fire engine.” That’s a line from a blind woman called Michelle who took part in a focus group between Maltesers and the disability charity Scope. An audio message also accompanies the poster and directs people to Maltesers’ Facebook page, where the message gets translated so that sighted people can understand it. Speaking of its latest OOH incarnation, Michele Oliver, vice president of marketing at Mars Chocolate UK, said: “As one of the UK’s biggest advertisers, we have a responsibility and a role to play in championing greater inclusivity in our advertising and communications.